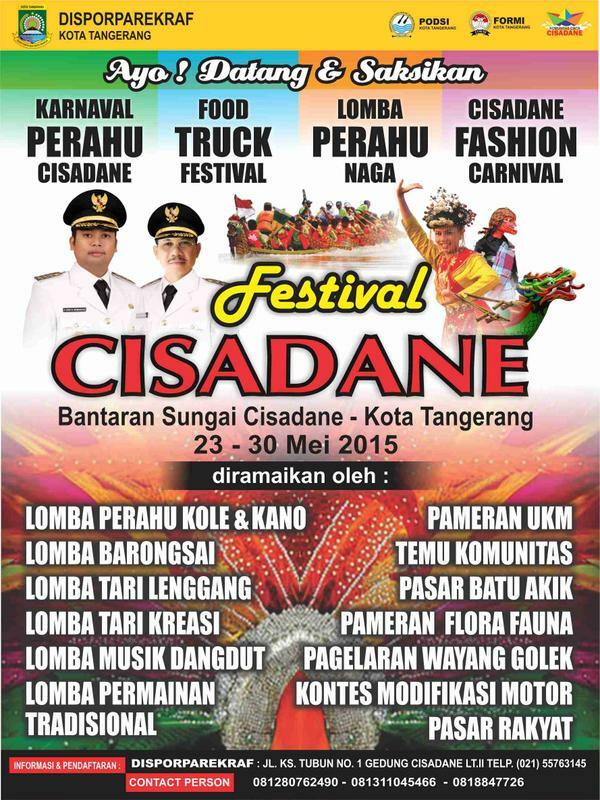 Festival Cisadane, an annual event hosted by Tangerang City administratio. This festival illustrates the acculturation of Chinese culture with the local culture. This is Cisadane Festival is an annual event since 2000 and held on the banks of the Cisadane river. The current festival will be hold from 23 May to 30 May 2015.
International Dragon Boat Competition remains the top event in the Festival Cisadane 2015, and it will be attended by participants from various countries in Southeast Asia. In addition there will be a boat carnival, Food Truck Festival, and Cisadane Fashion Festival.